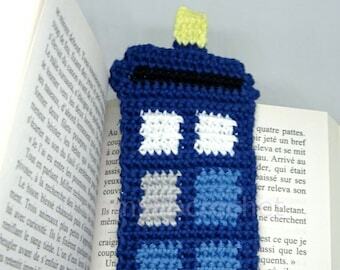 Announcement Original handmade geek and fancy pop culture Crocheted inspired items. 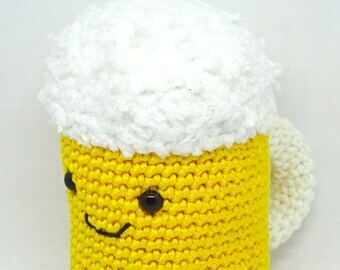 I crochet amigurumi dolls, Linux penguins amigurumis and gifts for geeks. 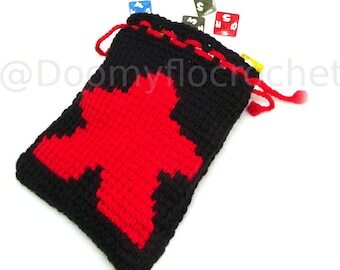 Fans of books, I also make fancy and unique Fantasy textile bookmarks. 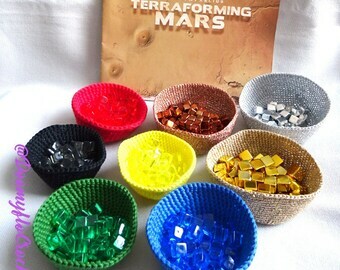 And also fashion and decoration accessories. Made in France 100% Handmade. Don't hesitate to place an order! 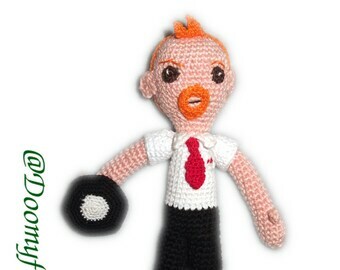 Original handmade geek and fancy pop culture Crocheted inspired items. Available in my shop. Feel free to ask if any question. Putting thread with crochet to get a amazing red hair! 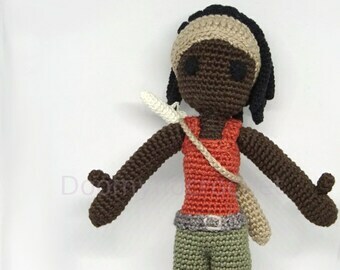 As far as I can remember (early teenage), I've always loved creating and designing my own handcrafts models and express my tastes for pop culture and geek universe through my crocheted or knitted creations. Many friends and family asked for my original items so I jumped into e-commerce and choose Etsy marketplace to test worldwide! 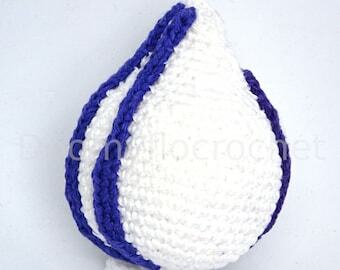 Doomyflocrochet brand increased since 2010 and I gained my friends and customers trust for years now! 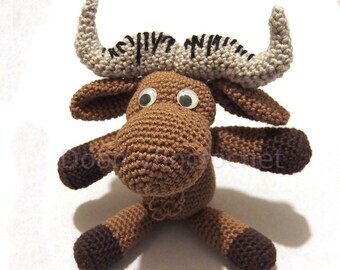 I'm always openminded and challenge any ideas transformed in amigurumi style. I'm an active member of a french linux club and I share my taste with little Linux tux keychains to show our geek and opensource engagement. 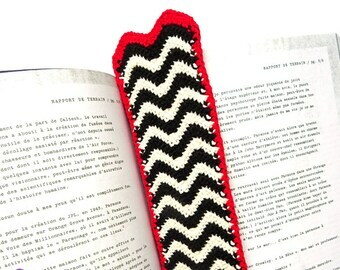 As a huge bookaddict, I imagine many fancy successful textile bookmarks! Don't hesitate for any requests! And thank you and see you soon in my shop! Designer since 2010, I am passionate about knitting and crocheting mainly the art and amigurumis. There are so many ways for me to express between the geek / pop culture and gothic fashion. Thank you for supporting my work made in France! These privacy policies describe how and when I collect, use and share information when you place an order with me or use my services through Etsy.com or related sites and services. To process your order, you must provide me with certain information (that you have authorized Etsy to send me), including your name, email, postal address, type of payment, as well as the description of the product you are ordering. You can also decide to provide me with some additional personal information (for a personalized order for example), by contacting me directly. Service providers. I use certain trusted third parties to perform certain actions or provide certain services for my store - transportation companies for example (La POSTE). I may have to share your personal information with these third parties, but only those that are essential to the performance of these services. Activity transfers. If I sell my company or merge it with another, I may have to disclose your information as part of this transaction but only to the extent permitted by law. Compliance with legislation. I may collect, use, store and share your information if I believe in good faith that it is necessary and reasonable for: (a) respond to a legal process or request from the state; (b) enforce my agreements, terms or regulations; (c) prevent, investigate or manage any fraud or other illegal activity, or any technical or security problem; or (d) protect the rights, property and safety of my clients or other persons. I can potentially store and process your information via third party hosts located in the United States or other countries. I may therefore transfer your personal information to a jurisdiction where data protection and government supervision legislation is different from that of your country. If I have to transfer your personal information outside the European Union, I rely on the Privacy Shield as the legal basis for this, with Google benefiting from Privacy Shield certification. Access. You may have the right to access the personal information I hold about you and to receive a copy by contacting me. You will find my contact details below. Modify, restrict, delete. You may also have the right to change your personal information, restrict my use of it or delete it. Except in exceptional circumstances (for example, if I have to keep my shop data for legal reasons), I will generally delete your personal information upon request. Oppose. You may object to 1) the processing of some of your information in the context of my legitimate interests and 2) the receipt of marketing messages from me after having explicitly consented to receive them. In these specific cases, I will delete your personal information unless I have legitimate reasons to continue using it, or in cases where it is necessary for legal reasons. Complaining. If you reside in the European Union and wish to express concern about my use of your information (and without prejudice to any other rights you may have), you may do so with your local data protection authorities.